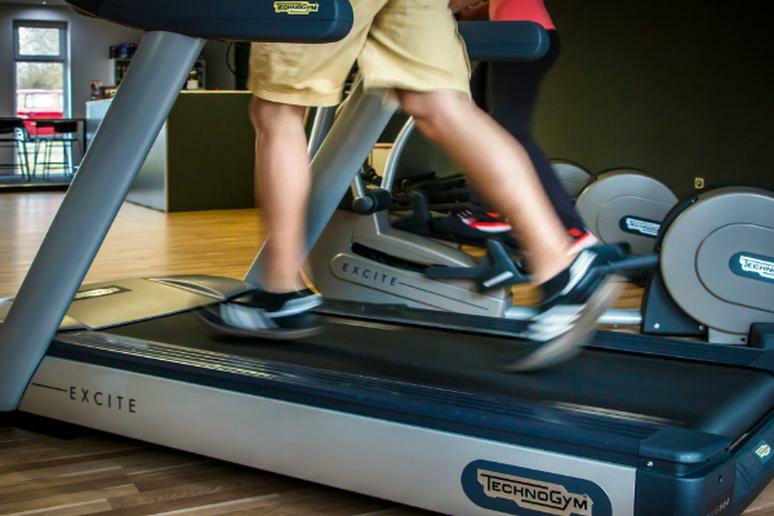 Everyone uses – often or not so much – a treadmill. Many trainers recommend warming up by running 10 minutes on the machine or walk for a little longer at an incline. Treadmills are a great way to improve your cardiovascular fitness. Running or walking on them is an ideal vigorous-intensity aerobic exercise. A lot of people include it in their HIIT (high intensity interval training) routine. These fitness apparatuses range from basic to very complex with a lot of different pre-set workouts. Whatever you choose to do, there are a few simple things you need to keep in mind. Otherwise, as is the case with every exercise, if you do it incorrectly, you risk injuring yourself. 1. Wear clothes that you feel comfortable with when you’re sweating. Your running shoes must be the right kind as well – make sure they have a good grip on the sole. 2. Before you even make a single step on the treadmill, know what each button does. You don’t want to be start running on an incline from zero to five when you actually intend to lower the speed. Get familiar with the screen indicators and where you can monitor your heart rate, mileage, speed, and how many calories you’ve burned. 3. If you’re unsure if what to do, select one of the pre-set programs. Many people simply do the cardiovascular one because it’s designed to change the speed so that your heart rate remains between 50-85 percent of your maximum heart rate. 4. Always warm up first. Don’t ever immediately start running your fastest because you are risking cramps and possible other problems. Start slowly and give your body time to adjust. Do that for about 5-10 minutes and then run sprints if you’d like. 5. Always stretch before stepping onto a treadmill. Loosen up your joints and muscles with dynamic stretches. Walk a little bit and lift your knees with each step; swing your legs as you walk; swing your arms while you’re at it as well. 6. Unless you’re walking slowly and the treadmill needs to monitor your heart rate, don’t hold the bars. They make the exercise easier – you’re burning fewer calories –and you don’t actually know who well (bad) you’re doing. Holding on to the bars ruins your posture while running. 7. Start easy. Your body is very smart. It knows what to do when you change the difficulty level of the exercise and it remembers it. You will have to make it harder and harder eventually if you want to continue reaching the fat burning zone. Give it some incline if you don’t want to increase the speed. 8. The proper from is to keep your back straight, shoulders broad and eyes looking forward.